Not much time has passed since the initial release of BarCodeKit. But time enough for Mr. Andy Qua to generously provide an implementation for the Interleaved 2of5 code. The Interleaved 2of5 Code is apparently used in scenarios where you need to represent a variable-length number. One use case for that might be baggage tracking at airports. 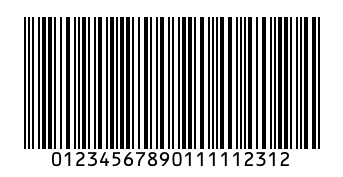 If you would like to contribute an implementation for a code type not yet represented I am interested in trading you a free license of BarCodeKit for use in your own apps for it. The update is tagged on the private repo as well available via our private CocoaPods repo.